If you haven't noticed the killer costumes and the ghoulish goings on over the last few days, where have you been? 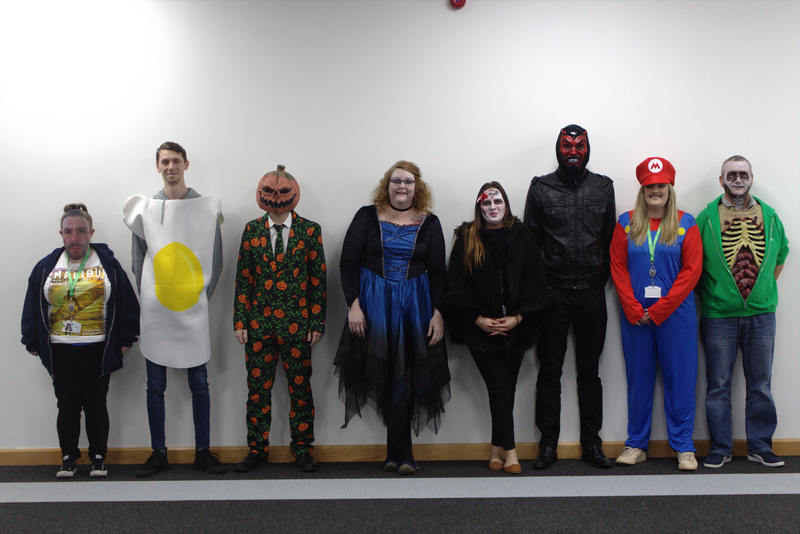 For anyone that doesn't know, we've been raising money for Alzheimer's society this week by getting into the Halloween spirit. First up, we had two classics to sink our teeth into: Best dressed man and Best dressed woman. Everyone paid £1 to dress their best, with all proceeds going to Alzheimer's society. Our CEO Oliver was tasked with finding our lucky two winners, but after getting together a line-up of our creepiest colleagues it looked like he had bitten off more than he could chew. Following some careful decision making, Les from our Customer service team took the big win for the guys, while Leanne from our Customer care team impressed with her dress for the ladies. Both of them got a bottle of bubbly to take home for a frightening feast, well done guys! 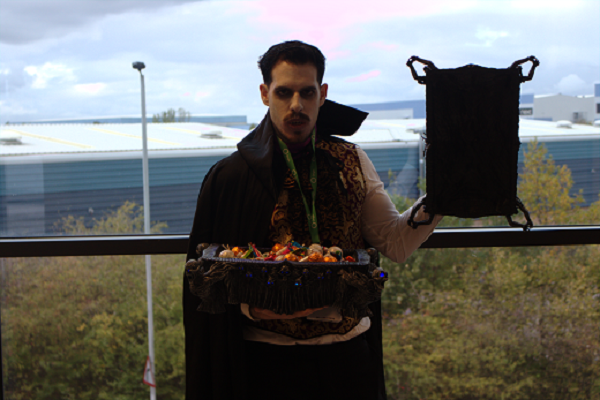 We weren't the only ones getting dressed up in Origin's hallowed halls this week, our desks really came to life as well. 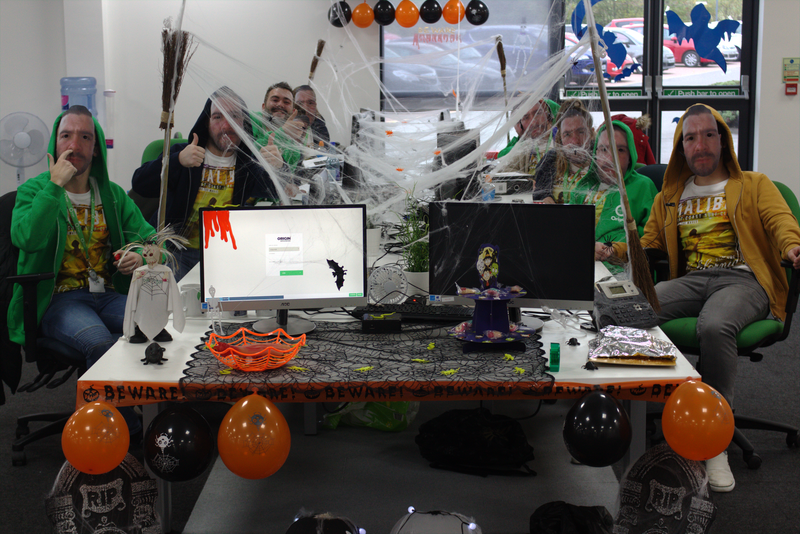 Our teams took part in a Best dressed spine competition, getting their dastardly decorations out to turn our office into a wicked workspace. The winning team won a pizza lunch, so this was serious business. One of our Customer service teams won the 'ghould'. Not only did they cover their spine in chilling cobwebs and broomsticks, but they all dressed up as their Team leader Kaine. Now that's team work. 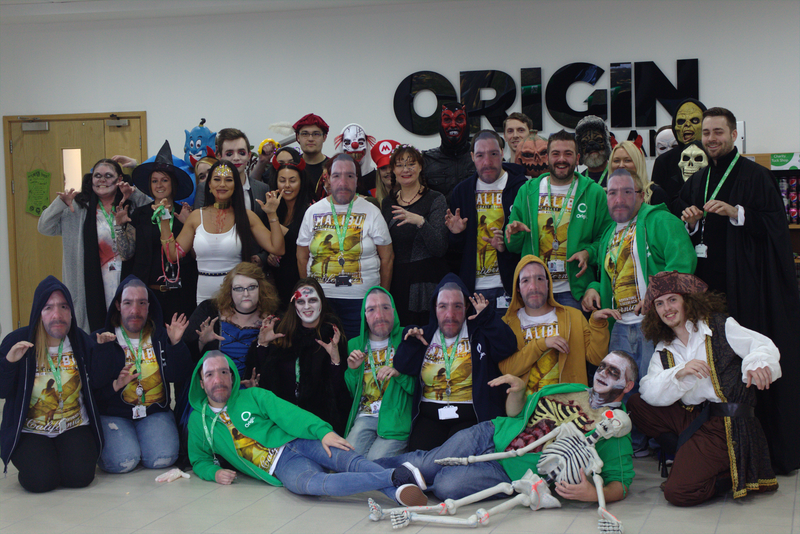 It's been a great week for charity at Origin, but it doesn't stop here. We'll be holding more events in the next few months for Alzheimer's society, so keep your eyes peeled on our Facebook and Twitter pages, as well as right here on our blog, for all the latest updates.